With its striking spout and easy to use ceramic handles levers, the Glastonbury range encapsulates both splendour and practicality. 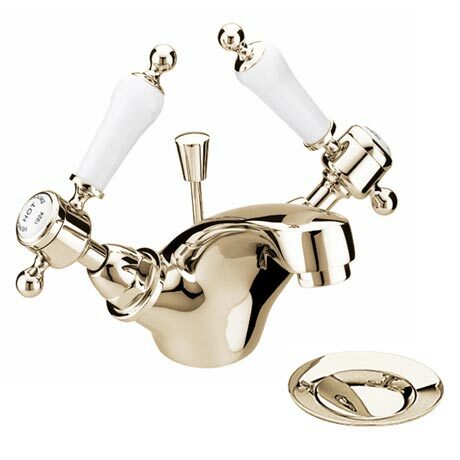 This Mono Basin Mixer with Pop-up Waste is made from brass with a vintage gold finish and feature quarter turn levers for easy operation. Comes with a 5 year guarantee covering manufacturing faults. "Not yet fitted but looks and feels luxurious, exactly what I needed."